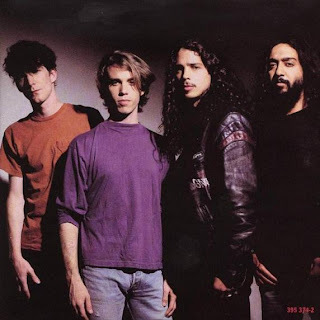 Ronald Says - memoirs of a music addict: Soundgarden reuniting? Rolling Stone reports that Soundgarden nearly reunited at one of Tom Morello's Justice Tour stops. Only one member was missing: Chris Cornell. Worthless to say he's definitely a must have for a proper reunion. Maybe after all the negative reviews and opinions about Cornell's latest solo album he may be in for some good old rock! He sure would make me a happy camper.